Pour bien choisir lisez notre guide du PC Portable ! Vous cherchez un Mac portable ? MSI GP73 8RE-480XFR Leopard + bundle Fortnite offert ! PC Portable Gamer 17.3'' Full HD (1920 x 1080) 120 Hz - Intel Core i7-8750H Hexa Core 2.2 GHz - 16 Go DDR4 - SSD 128 Go - HDD 1 To - Nvidia GeForce GTX 1060 - 2.7 Kg - Sans OS + 2000 V-Bucks et pack contre-attaque offerts ! PC Portable Gamer 17.3'' Full HD (1920 x 1080) 144 Hz - Intel Core i7-8750H Hexa Core 2.2 GHz - 16 Go DDR4 - SSD 512 Go - Nvidia GeForce GTX 1060 - 2.7 Kg - Windows 10 + 2000 V-Bucks et pack contre-attaque offerts ! PC Portable Gamer 15.6'' Full HD (1920 x 1080) 144 Hz - Intel Core i7-8750H Hexa Core 2.2 GHz - 16 Go DDR4 - SSD 128 Go - HDD 1 To - Nvidia GeForce GTX 1060 - 2.3 Kg - Windows 10 + 2000 V-Bucks et pack contre-attaque offerts ! PC Portable Gamer 15.6'' Full HD (1920 x 1080) 144 Hz - Intel Core i7-8750H Hexa Core 2.2 GHz - 16 Go DDR4 - SSD 512 Go - Nvidia GeForce GTX 1070 - 2.4 Kg - Windows 10 + 2000 V-Bucks et pack contre-attaque offerts ! PC Portable Gamer 15.6'' Full HD (1920 x 1080) - Intel Core i5-8300H Quad Core 2.3 GHz - 16 Go DDR4 - SSD 256 Go - HDD 1 To - Nvidia GeForce GTX 1050 Ti - 2.3 Kg - Windows 10 + 2000 V-Bucks et pack contre-attaque offerts ! PC Portable Gamer 15.6'' Full HD (1920 x 1080) 144 Hz - Intel Core i7-8750H Hexa Core 2.2 GHz - 16 Go DDR4 - SSD 256 Go - SSHD 1 To - Nvidia GeForce GTX 1060 - 2.45 Kg - Windows 10 + 2000 V-Bucks et pack contre-attaque offerts ! PC Portable Gamer 15.6'' Full HD (1920 x 1080) 120 Hz - Intel Core i5-8300H Quad Core 2.3 GHz - 16 Go DDR4 - SSD 512 Go - Nvidia GeForce GTX 1050 Ti - 2.2 Kg - Windows 10 + 2000 V-Bucks et pack contre-attaque offerts ! PC Portable Gamer 15.6'' Full HD (1920 x 1080) 144 Hz - Intel Core i7-8750H Hexa Core 2.2 GHz - 16 Go DDR4 - SSD 512 Go - Nvidia GeForce GTX 1070 - 1.8 Kg - Windows 10 + 2000 V-Bucks et pack contre-attaque offerts ! PC Portable Gamer 15.6'' Full HD (1920 x 1080) 144 Hz - Intel Core i7-8750H Hexa Core 2.2 GHz - 16 Go DDR4 - SSD 512 Go - SSHD 1 To - Nvidia GeForce GTX 1070 - 2.4 Kg - Windows 10 + 2000 V-Bucks et pack contre-attaque offerts ! PC Portable Gamer 15.6'' Full HD (1920 x 1080) - Intel Core i7-8750H Hexa Core 2.2 GHz - 16 Go DDR4 - SSD 128 Go - HDD 1 To - Nvidia GeForce GTX 1050 Ti - 2.3 Kg - Windows 10 + 2000 V-Bucks et pack contre-attaque offerts ! 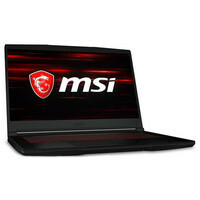 MSI GP73 8RF-675XFR Leopard + bundle Fortnite offert ! PC Portable Gamer 17.3'' Full HD (1920 x 1080) 120 Hz - Intel Core i7-8750H Hexa Core 2.2 GHz - 16 Go DDR4 - SSD 256 Go - Nvidia GeForce GTX 1070 - 2.7 Kg - Sans OS + 2000 V-Bucks et pack contre-attaque offerts ! 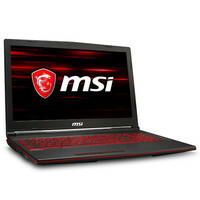 MSI GL63 8RE-616XFR + bundle Fortnite offert ! PC Portable Gamer 15.6'' Full HD (1920 x 1080) - Intel Core i5-8300H Quad Core 2.3 GHz - 16 Go DDR4 - SSD 256 Go - HDD 1 To - Nvidia GeForce GTX 1060 - 2.2 Kg - Sans OS + 2000 V-Bucks et pack contre-attaque offerts ! PC Portable Gamer 17.3'' Full HD (1920 x 1080) 144 Hz - Intel Core i7-8750H Hexa Core 2.2 GHz - 16 Go DDR4 - SSD 256 Go - HDD 1 To - Nvidia GeForce GTX 1070 - 4.0 Kg - Windows 10 + 2000 V-Bucks et pack contre-attaque offerts ! PC Portable Gamer 17.3'' Full HD (1920 x 1080) 144 Hz - Intel Core i7-8750H Hexa Core 2.2 GHz - 16 Go DDR4 - SSD 256 Go - SSHD 1 To - Nvidia GeForce GTX 1060 - 2.89 Kg - Windows 10 + 2000 V-Bucks et pack contre-attaque offerts ! 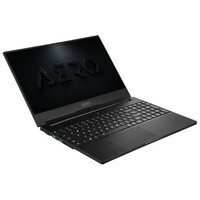 Asus ROG Strix Scar (GL703GS-EE066) + bundle Fortnite offert ! PC Portable Gamer 17.3'' Full HD (1920 x 1080) 120 Hz - Intel Core i7-8750H Hexa Core 2.2 GHz - 16 Go DDR4 - SSD 128 Go - SSHD 1 To - Nvidia GeForce GTX 1070 - 2.95 Kg - Sans OS + 2000 V-Bucks et pack contre-attaque offerts ! PC Portable Gamer 15.6'' Full HD (1920 x 1080) 144 Hz - Intel Core i7-8750H Hexa Core 2.2 GHz - 16 Go DDR4 - SSD 512 Go - Nvidia GeForce GTX 1060 - 2.1 Kg - Windows 10 + 2000 V-Bucks et pack contre-attaque offerts ! PC Portable Gamer 17.3'' Full HD (1920 x 1080) 120 Hz - Intel Core i7-8750H Hexa Core 2.2 GHz - 16 Go DDR4 - SSD 256 Go - SSHD 1 To - Nvidia GeForce GTX 1060 - 2.95 Kg - Windows 10 + 2000 V-Bucks et pack contre-attaque offerts ! PC Portable Gamer 15.6'' Full HD (1920 x 1080) 144 Hz - Intel Core i7-8750H Hexa Core 2.2 GHz - 16 Go DDR4 - SSD 512 Go - Nvidia GeForce GTX 1060 - 2.0 Kg - Windows 10 + 2000 V-Bucks et pack contre-attaque offerts ! PC Portable Gamer 15.6'' Full HD (1920 x 1080) 144 Hz - Intel Core i7-8750H Hexa Core 2.2 GHz - 16 Go DDR4 - SSD 256 Go - SSHD 1 To - Nvidia GeForce GTX 1060 - 2.4 Kg - Windows 10 + 2000 V-Bucks et pack contre-attaque offerts ! PC Portable Gamer 15.6'' Full HD (1920 x 1080) - Intel Core i7-8750H Hexa Core 2.2 GHz - 16 Go DDR4 - SSD 256 Go - HDD 1 To - Nvidia GeForce GTX 1060 - 2.6 Kg - Windows 10 + 2000 V-Bucks et pack contre-attaque offerts ! PC Portable Gamer 17.3'' Full HD (1920 x 1080) 144 Hz - Intel Core i7-8750H Hexa Core 2.2 GHz - 16 Go DDR4 - SSD 256 Go - SSHD 1 To - Nvidia GeForce GTX 1070 - 4.7 Kg - Windows 10 + 2000 V-Bucks et pack contre-attaque offerts ! PC Portable Gamer 15.6'' Full HD (1920 x 1080) 144 Hz - Intel Core i7-8750H Hexa Core 2.2 GHz - 16 Go DDR4 - SSD 512 Go - Nvidia GeForce GTX 1070 - 2.0 Kg - Windows 10 + 2000 V-Bucks et pack contre-attaque offerts ! PC Portable Gamer 17.3' Full HD (1920 x 1080) - Intel Core i7-7700HQ Quad Core 2.8 GHz - 16 Go DDR4 - SSD 256 Go - HDD 1 To - Nvidia GeForce GTX 1050 - 3.0 Kg - Windows 10 + 2000 V-Bucks et pack contre-attaque offerts ! PC Portable Gamer 15.6'' Full HD (1920 x 1080) 120 Hz - Intel Core i7-8750H Hexa Core 2.2 GHz - 16 Go DDR4 - SSD 256 Go - HDD 1 To - Nvidia GeForce GTX 1060 - 2.5 Kg - Windows 10 + 2000 V-Bucks et pack contre-attaque offerts ! 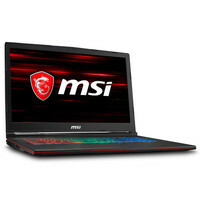 MSI GE63 8RF-026XFR Raider RGB + bundle Fortnite offert ! PC Portable Gamer 15.6'' Full HD (1920 x 1080) 120 Hz - Intel Core i7-8750H Hexa Core 2.2 GHz - 16 Go DDR4 - SSD 256 Go - HDD 1 To - Nvidia GeForce GTX 1070 - 2.49 Kg - Sans OS + 2000 V-Bucks et pack contre-attaque offerts ! PC Portable Gamer 17.3'' Full HD (1920 x 1080) 144 Hz - Intel Core i7-8750H Hexa Core 2.2 GHz - 16 Go DDR4 - SSD 256 Go - SSHD 1 To - Nvidia GeForce GTX 1070 - 2.95 Kg - Windows 10 + 2000 V-Bucks et pack contre-attaque offerts ! PC Portable Gamer 15.6'' Full HD (1920 x 1080) 144 Hz - Intel Core i7-8750H Hexa Core 2.2 GHz - 16 Go DDR4 - SSD 512 Go - SSHD 1 To - Nvidia GeForce GTX 1060 - 2.4 Kg - Windows 10 + 2000 V-Bucks et pack contre-attaque offerts ! PC Portable Gamer 15.6'' Full HD (1920 x 1080) - Intel Core i7-8750H Hexa Core 2.2 GHz - 16 Go DDR4 - SSD 512 Go - Nvidia GeForce GTX 1050 Ti - 1.8 Kg - Windows 10 + 2000 V-Bucks et pack contre-attaque offerts ! 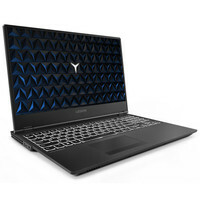 PC Portable Gamer 15.6'' Ultra HD (3840 x 2160) tactile - Intel Core i7-8750H Hexa Core 2.2 GHz - 16 Go DDR4 - SSD 512 Go - Nvidia GeForce GTX 1050 Ti - 1.8 Kg - Windows 10 + 2000 V-Bucks et pack contre-attaque offerts ! PC Portable Gamer 15.6'' Full HD (1920 x 1080) 120 Hz - Intel Core i7-8750H Hexa Core 2.2 GHz - 16 Go DDR4 - SSD 256 Go - HDD 2 To - Nvidia GeForce GTX 1060 - 1.9 Kg - Windows 10 + 2000 V-Bucks et pack contre-attaque offerts ! PC Portable Gamer 15.6' Full HD (1920 x 1080) - Intel Core i7-8750H Hexa Core 2.2 GHz - 16 Go DDR4 - SSD 256 Go - HDD 1 To - Nvidia GeForce GTX 1050 - 2.3 Kg - Windows 10 + 2000 V-Bucks et pack contre-attaque offerts ! PC Portable Gamer 17.3'' Full HD (1920 x 1080) 144 Hz - Intel Core i7-8750H Hexa Core 2.2 GHz - 16 Go DDR4 - SSD 512 Go - HDD 1 To - Nvidia GeForce GTX 1060 - 2.61 Kg - Windows 10 + 2000 V-Bucks et pack contre-attaque offerts ! PC Portable Gamer 15.6' Ultra HD (3840 x 2160) - Intel Core i7-8750H Hexa Core 2.2 GHz - 16 Go DDR4 - SSD 512 Go - Nvidia GeForce GTX 1070 - 2.0 Kg - Windows 10 + 2000 V-Bucks et pack contre-attaque offerts ! PC Portable Gamer 15.6'' Full HD (1920 x 1080) 120 Hz - Intel Core i7-8750H Hexa Core 2.2 GHz - 16 Go DDR4 - SSD 256 Go - HDD 1 To - Nvidia GeForce GTX 1050 Ti - 2.2 Kg - Windows 10 + 2000 V-Bucks et pack contre-attaque offerts ! PC Portable Gamer 15.6'' Full HD (1920 x 1080) 120 Hz - Intel Core i7-8750H Hexa Core 2.2 GHz - 16 Go DDR4 - SSD 512 Go - HDD 1 To - Nvidia GeForce GTX 1070 - 2.49 Kg - Windows 10 + 2000 V-Bucks et pack contre-attaque offerts ! PC Portable Gamer 15.6'' Full HD (1920 x 1080) 120 Hz - Intel Core i7-8750H Hexa Core 2.2 GHz - 16 Go DDR4 - SSD 256 Go - HDD 1 To - Nvidia GeForce GTX 1070 - 3.49 Kg - Windows 10 + 2000 V-Bucks et pack contre-attaque offerts ! PC Portable Gamer 15.6' Full HD (1920 x 1080) - Intel Core i7-8750H Hexa Core 2.2 GHz - 16 Go DDR4 - SSD 256 Go - HDD 1 To - Nvidia GeForce GTX 1050 Ti - 2.3 Kg - Windows 10 + 2000 V-Bucks et pack contre-attaque offerts ! MSI GP63 8RF-677FR Leopard + bundle Fortnite offert ! PC Portable Gamer 15.6'' Full HD (1920 x 1080) 120 Hz - Intel Core i7-8750H Hexa Core 2.2 GHz - 16 Go DDR4 - SSD 128 Go - HDD 1 To - Nvidia GeForce GTX 1070 - 2.2 Kg - Windows 10 + 2000 V-Bucks et pack contre-attaque offerts ! PC Portable Gamer 15.6'' Full HD (1920 x 1080) 120 Hz - Intel Core i7-8750H Hexa Core 2.2 GHz - 16 Go DDR4 - SSD 256 Go - HDD 1 To - Nvidia GeForce GTX 1070 - 2.94 Kg - Windows 10 + 2000 V-Bucks et pack contre-attaque offerts ! PC Portable Gamer 15.6'' Full HD (1920 x 1080) - Intel Core i7-8750H Hexa Core 2.2 GHz - 16 Go DDR4 - SSD 256 Go - HDD 1 To - Nvidia GeForce GTX 1050 Ti - 1.86 Kg - Windows 10 + 2000 V-Bucks et pack contre-attaque offerts !